The 'Beck Friends' platform -- a global peer-to- peer marketplace for sending anything anywhere economically with an opportunity to earn as you travel. Broke by the last week of the month? This start-up has a solution! In the ecommerce world today everyone wants virtually everything delivered right to their doorstep. This has put a severe strain on various logistics platforms. A reason some startups today are trying to find a solution to this problem. BECK Technology Ventures Pvt Ltd is the latest startup trying to find a solution to the delivery problem. The company has created a platform through the use of technology which enables people can send anything anywhere. One of the must unique services about this startup is the 'Beck Friends' platform -- a global peer-to- peer marketplace for sending anything anywhere economically with an opportunity to earn as you travel. The product was recently launched in April 2016 and brings a global reach to delivering anything anywhere through social platforms. 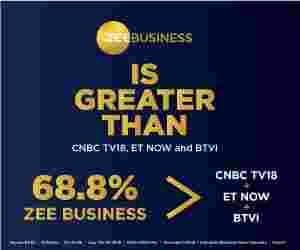 The Zeebiz team caught up with Deep Malhotra, Co-founder Beckfriends.com to learn more. How does Beck Friends function? A user who wants to send a parcel anywhere can connect with other users of Beck Friends over the platform where details like location, details of delivery, pickup and picture of the parcel need to be filled. The platform’s algorithm then gives an estimated pricing based on factors such as the time requested for delivery, the package size and the distance. Other users can then respond to the request if he/she is interested to deliver and earn, which delivers a notification to the sender and gives him/her an option to check the Facebook, Google+, Linkedin profiles of the user interested in making the delivery. Once the interested party is approved by the sender, mobile numbers are then exchanged through SMS. This ensures privacy as well as establishes trust for both parties involved. What are the precautions or levels of screening that Beck Friends takes before a peer to peer delivery service? What guarantee does Beck Friends give customers in case the transported good is damaged? We will soon be launching insurance option for users, which they can opt for in case they are worried about the safety. What precautions does Beck Friends take to avoid breaking any customs regulations or the transportation illegal items? Once the user has accepted to do the delivery, we send the user custom rules and regulation related to the said country. To ensure in case the item doesn’t fall in that category. We share the list of restricted items in the particular country with the users beforehand and regarding safety of transport we are making sure the users can verify each other on various social platforms along with third party government ids proof verification making sure the genuineness of the user. Only when the user is satisfied he/she can approve and connect through mobile, keeping the choice with user. After the various level of authentication we are sure the bad experiences if any would be bare minimum. If a user of Beck Friends is however in trouble for transporting any substance illegal, how does Beck help? We have 24/7 customer support for the users. In case of a highly unlikely scenario if the user is stuck after the various checks and verifications our team is well equipped to support the user and save them from a difficult situation. What is the primary target audience that Beck is looking to get? We are targeting students and frequent small business travellers who need to travel, but not always can afford the fare. Beck Friends is a great opportunity to give them opportunity to earn as they travel while on the other hand users who need to deliver stuff find an economical way to deliver it. Like one user in Singapore used the platform to deliver a carton of books to his friend in Mumbai. How will Beck look to get users to transport a complete strangers belongings from one place to another? Beck is a platform where users can connect with other users for mutual benefit of economical delivery option &amp; an opportunity to earn. User benefit being the crux of the platform we are confident that once they start using the platform and a critical mass of users are on board it will become easy for this to be accepted as a usual practice of travel. Our confidence flows in from success story of platforms like Airbnb worldwide - who would’ve thought back in 2009 staying in a strangers house or giving your house to stay to a stranger would be an over $25 billion dollar business in 2016. What is the investment made into Beck? We are currently bootstrapped and self-funded with upto $200,000 in funds and close to operational breakeven numbers on our Instant delivery platform. We are looking to raise $3 million in funding with right investor/s partner on board to expand on technology &amp; user acquisition to achieve our vision faster.